Hi-yo, Silver, away! 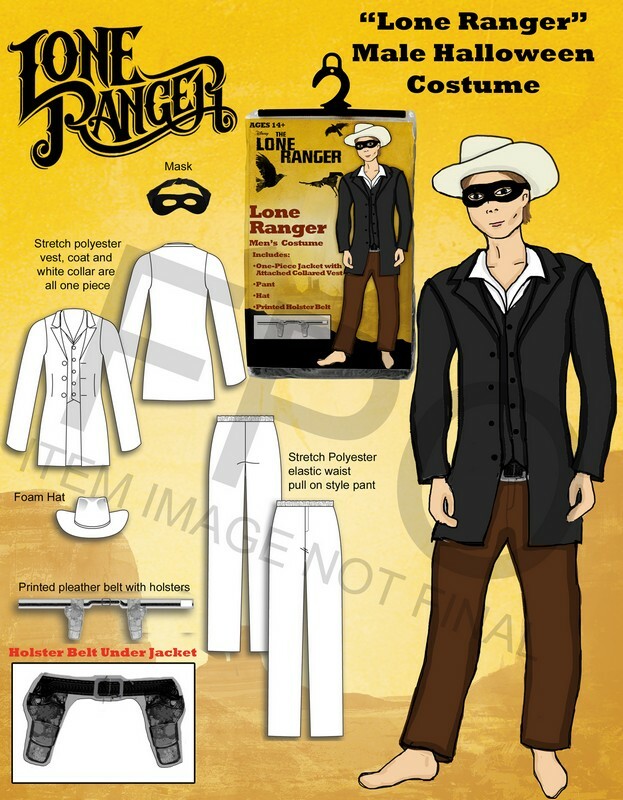 You’ll be ready to saddle up and fight frontier crime in this men’s Lone Ranger costume. Includes a one-piece jacket with attached vest and collar, stretch-waist pants, mask, hat, and holster belt. Stretch polyester is comfortable and machine washable.